Walkthrough for O.W.L. 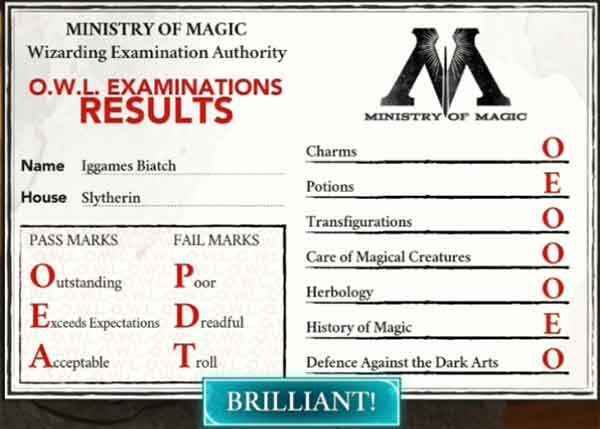 Exam Answers Harry Potter Hogwarts Mystery – Get an Outstanding Passmarks for your OWL examinations results from ministry of magic wizarding examination authority ! of course there’s also Practical exam to complete, but we will help you for all the written exam question and correct answers 🙂 you can find all the answer for O.W.L. from activity of study and revising with your friends ! In which scenario would you use a Deflating Draught ? Which is a possible side effect of Pepperup Potions ? How many Lionfish Spines are used in one batch of Herbicide Potion ? How long should a Polyjuice Potion stew before usage ? 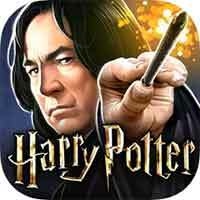 Hogwarts Mystery Care of Magical Creatures O.W.L. Hogwarts Mystery History of Magic O.W.L. Which clause in the Code of Wand Use prohibits non-humnas from using wands ? What event followed the Soap Blizzard of 1378 ? Why did Liechtenstein not attend the first meeting of the International Confederation of Wizards ? In what year was Gringotts Wizarding Bank founded ? How many times did Wendelin the Weird allow herself to be caught by witch-hunters ? Who killed Emeric the Evil in a duel ? What Goblin led the 18th century Goblin Rebellions ? What was the primary reason for the creation of the International Statute of Wizarding Secrecy ? Hogwarts Mystery Defence Against the Dark Arts O.W.L. so did you pass with Outstanding mark for all class ?